As part of the American Recovery and Reinvestment Act, a Federal tax credit is currently available for Metal Roofing Supply customers who use our ENERGY STAR compliant cool roof color coated metal. Save receipts and this MANUFACTURER'S CERTIFICATION STATEMENT (CLICK TO PRINT), for your records. We recommend you consult with professional tax advisor regarding any questions you may have and/or to confirm tax credit eligibility. 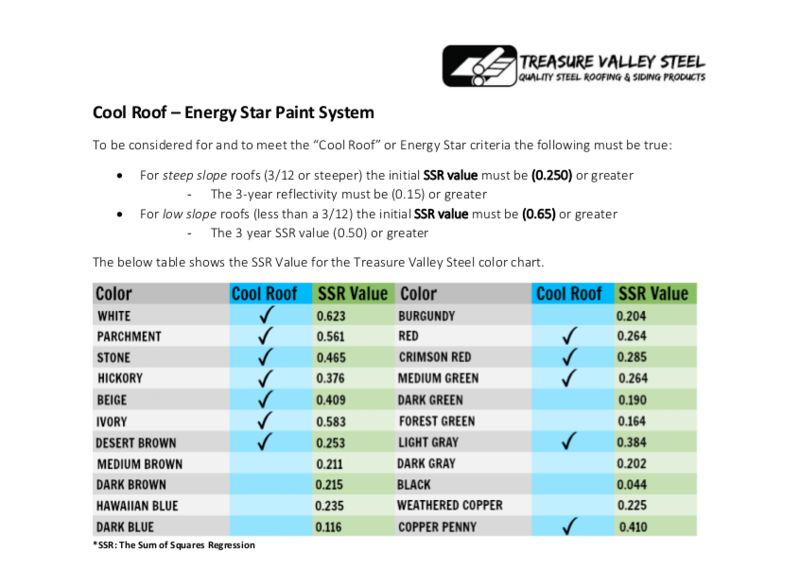 Please visit: https://www.energystar.gov/about/federal_tax_creditsroofs_metal_and_asphalt for more information.